Proper wound care is essential for healing wounds of all shapes and sizes. Whether you are dealing with pressure ulcers, an injured knee, or recovering from a surgery, it is crucial that you adopt proper wound care techniques. There is no shortage of misconceptions and doubts regarding efficient wound care methods. Before embarking on a wound care treatment it is therefore important to check the myths and facts related to its care. Proper wound management greatly reduces the chances of infection, helps achieve quick pain relief, and promotes safe wound healing environment. Fact: Alcohol is not the best choice for wound cleaning and disinfecting for a number of reasons. It is not a good antiseptic for open wounds and does not accelerate the healing process. In fact alcohol may do more harm than good. Rubbing alcohol around wounded skin can potentially destroy the normal cells and tissues that typically assist in the wound healing process. Alcohol can cause painful burns when applied on skin, which is especially bad for children and patients with sensitive skin. Alcohol-free products such as mild disinfectants or warm soap and clean tap water are much better choices for immediate wound care. Fact: The top priority should always be to keep the wound clean and covered by wound dressings that are breathable and protect the wound from dirt, germs, and bacteria. An open wound increases the risk of infections and may also increase pain, or be subjected to further injury, as it has no protection from the influence of external elements. Many people tend to apply a dressing or a plaster only in the acute phase of the injury that is until the bleeding has stopped. Later the dressing is removed and discarded as quickly as possible in order to let the wound breathe. However, scientific research suggests that a wound that is protected with a dressing and kept clean & moist heals much faster, without complications than wounds that are left exposed to the air. Fact: If left untreated, even the smallest cut on the hand or an innocuous scratch on the foot can escalate into a major medical problem. It can be tempting to play down or simply ignore small wounds and cuts, especially if they are not painful, or occur on areas where they do not cause discomfort. Every wound is a sign of trauma to the body and potential entry hole for bacteria to invade our body. All injuries must be washed, cleaned, and bandaged regardless of size, pain, or discomfort to prevent wound infection. For patients with diabetes, a proper wound care is of special significance. A doctor or podiatrist should be consulted even for the care of small wounds, minor cuts, and skin cracks, especially on the feet. Fact: An itchy wound is not always a good symptom or signal of healing. A tingle and itch around the wounded skin may be a good sign, but only for superficial and surgical wounds. In some cases of post-surgery, it may be actually the indicator of surgical site infection. Itching can also be a sign of allergic reaction to certain medication. If a wound turns red, suppurate, or when the itching turns into a throbbing sensation, immediately consult a medical professional because these could be signs of a spreading infection or abscess that should be treated as soon as possible. Fact: It is a myth that germs and bacteria are comfortable under a wound dressing. It is quite contrary to the fact. Using the right wound dressing to cover up a wound which has previously been cleaned and disinfected protects wound from possible infections. Especially anti-bacterial dressings containing silver as an active ingredient are proven to act against a broad spectrum of bacteria and promote faster wound healing. 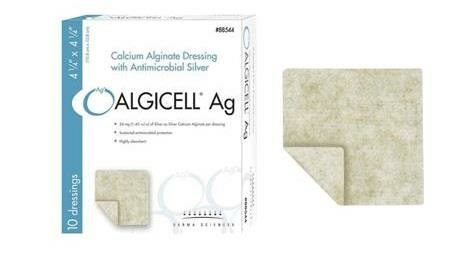 The silver contained in their wound dressing actually hampers the growth of bacteria. It is ideal for deep, cavity wounds with heavy exudates that are at a high risk of infection. Fact: It is easy to assume that a wound may be the more painful if it is deeper and vice versa. However, it is just opposite. Due to the presence of a large number of nerve endings just under the top layer of our skin, the superficial abrasions or burns often cause more pain than a deep cut or stab. Also, in case of deep burn wounds, most of the nerve fibers under the skin are destroyed which results in lack of sensation of pain. So it is best to not judge a wound by the degree of pain. Any burns, deep puncture wounds or cuts that bleed profusely should be cared for by a medical professional without delay. Fact: This myth that probably originated with the advent of pirate and adventure novels and has no basis in reality. In theory, salt water can help disinfect some bacteria, but practically seawater can be severely contaminated with a variety of chemicals, germs, and microbes especially near coastal stretches. For this reason, sea water can contribute significantly to the risk of an infection and wound complications. In addition, direct contact with salt water may cause the skin to swell, which significantly delays wound healing. Fact: Hydrogen peroxide can definitely be used for wound care in some cases but it is not an effective solution for cleaning open lacerations. The chemical can potentially cause irritation at the wounded area. Due to the toxicity of hydrogen peroxide, it is best to consult with a doctor regarding its appropriate dosage and usage. Hydrogen peroxide can kill healthy tissues that are vital to heal the wound. Cleaning cuts or wounds with hydrogen peroxide can be harmful rather than helpful to the overall wound healing process. Washing the wound with clean tap water is any day better than using hydrogen peroxide. Fact: Scabs appears when the wound is allowed to dry up. The scab makes it harder for new skin cells to evolve and cover the wound, especially if the scab is large in size. Scabs can also trap inflammatory tissue and bacteria that can result in infection. If the wound is large in size, it is best to consult a doctor from time to time. Proper wound care will also reduce the chance of leaving a bad scar after the wound has healed. Fact: While topical or oral antibiotics can be used to treat infected wounds, but there are times when taking antibiotics is absolutely unnecessary. The antibiotic should only be taken when there is an infection, or when the wound shows no signs of healing even after a week. Overuse or inadvertent use of antibiotics can render them ineffective against bacterial resistance and hamper the natural healing process by the immune system of our body. Therefore, antibiotics should only be taken as advised by a medical practitioner. Fact: To the naked eye, all wound dressing seems somewhat similar in nature. However, there are different wound dressings with a varying benefit for each wound type. For example, Hydrogel dressings create a moist environment which promotes the healing process. It is comprised of 90 % water in the form of a gel. 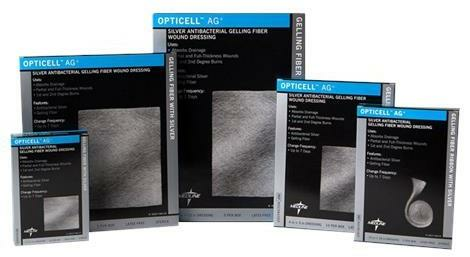 Hydrogel dressing simplifies granulation, dead tissue removal and epidermis (outer skin) repair. 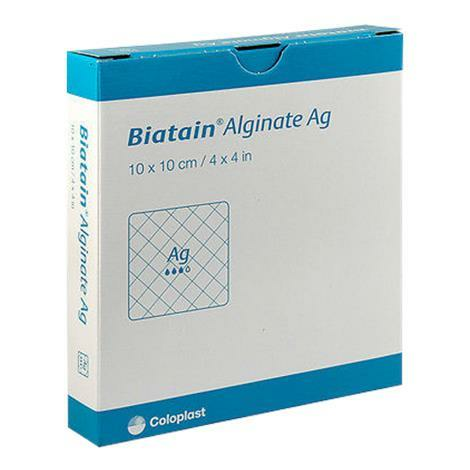 Alginate dressings are highly absorbent dressings made from seaweed. These dressings maintain a moist environment to promote healing. They are a good choice for wounds that exude a lot of liquid. Honey dressings are quite popular for management of wounds and burns. They contain active manuka honey providing a moist, occlusive environment which is conducive to optimal wound healing. A silicone dressing is coated with soft silicone layer and does not stick to the moist wound bed. 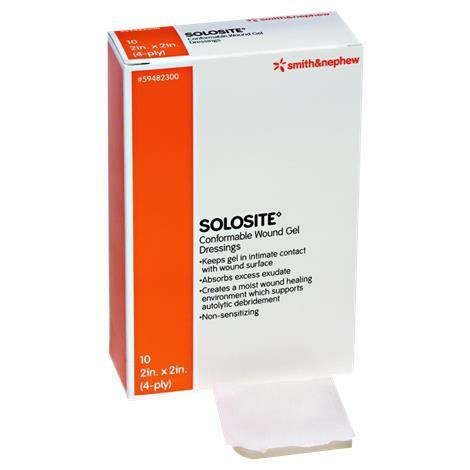 They are suitable for patients with sensitive skin and for managing existing and new hypertrophic scars. Choosing the right wound dressing is crucial for faster wound healing. Fact: A sustained pressure on the skin can result in pressure ulcers. Doughnut cushions are often sold by pharmacies to treat pressure ulcers. However, there are no scientifically proven benefits of using Doughnut cushions to treat bed sores or pressure ulcers. These cushions often make the pressure sore worse. On the other hand, Absorbent dressings such as Enluxtra Humifiber Self-Adaptive Wound Dressing and Heel Pillows can provide relief from pressure ulcers. The benefits of proper wound care are numerous for you and your family. Don’t shy away from seeking medical help if you are not able to clean and disinfect the wound properly. With proper wound management techniques and right wound care dressings, it becomes easier to get back to normal life quickly.